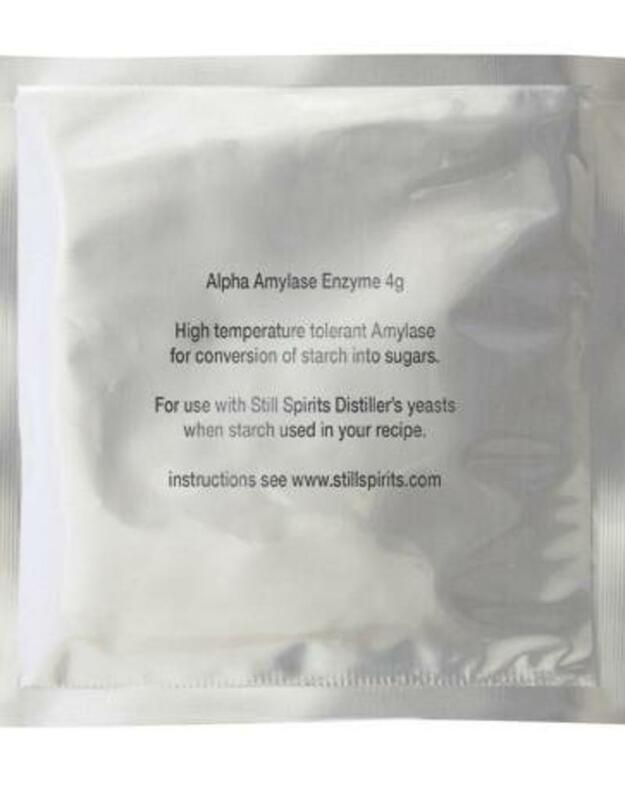 Amylase Enzyme Formula converts starches to fermentable sugars, ensuring complete fermentation. 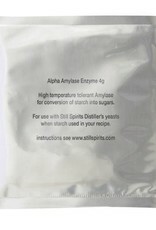 Amylase Enzyme - Used during the mashing process to increase enzymes. Increases efficiency and reduces conversion time by rapidly reducing insoluble and soluble starch by splitting starch molecules into many partially-fermentable dextrins and maltotriose. Given a long enough "rest," the amylase can dismantle all the dextrins to maltose, glucose, and small, branched limit dextrins.